When compiling my list of bookstores to visit, I consulted several “best of” lists, and Centuries and Sleuths was the store that caught my eye, because it’s a bookstore that specializes in history books and detective novels. Attentive readers of this blog will know that those are basically my two favorite genres, so of course I had to make the trek. And let me tell you, dear readers, it was a damn trek. Living in Atlanta, where it takes forty minutes to ride the East-West line from beginning to end, I thought it wasn’t a big deal that Centuries and Sleuths was located in Forest Park, a suburb of Chicago at the very last stop on the Blue Line. It took an hour and fifteen minutes to take the train from the middle of the Blue Line to the Forest Park stop, and then another ten minutes to walk to the bookstore. By the time I finally found the store (located in the downtown area of Forest Park, which as far as I could tell is a very lovely suburb with lots of antique stores and Irish pubs), I was tired and a little frustrated, so in fairness, the deck was stacked against Centuries and Sleuths from the beginning. Whenever I’m browsing in the detective novels at a bookstore, there are two authors I always look for: Dorothy Sayers and Georgette Heyer. Centuries and Sleuths didn’t have any Sayers titles that I could find, and the only Heyer I could find (besides the secondhand one sandwiched between two other books) was this one. 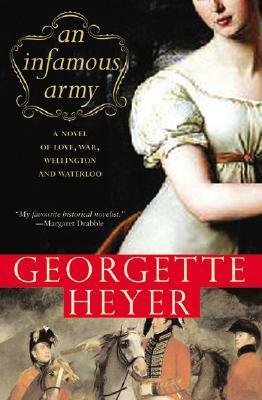 Not that I’m unhappy with it – Heyer is more well-known for her historical romances, and some additional research into this book (which centers around the battle of Waterloo) revealed that it’s considered so well-researched and accurate that it’s required reading at some military college whose name I forget. I’ve read three Heyer mysteries and find that her characters and dialogue delightful, so I’m looking forward to seeing how she applies those skills to romantic stories. 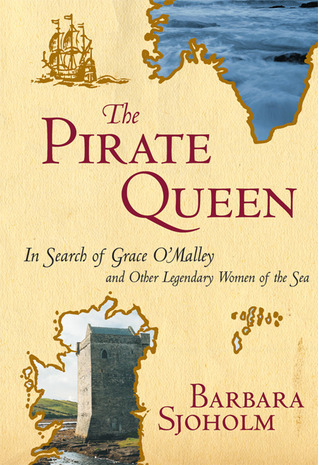 It’s a book about lady pirates. I don’t know what other justification you want from me. 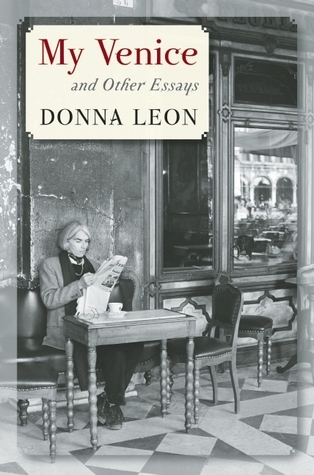 Donna Leon is not one of my favorite mystery writers – her books always tend to be bogged down by filler scenes and overly-long conversations, and the mysteries themselves are never as well-constructed or compelling as I want them to be. But what keeps me coming back to her books is the setting. Leon has lived in Venice for over twenty years, and the way she presents the city in her stories is wonderfully compelling. No matter what I think of her books, I can’t deny her love for Venice, and that love comes through clearly on every page. I’m looking forward to learning more about Donna Leon’s Venice, and sharing her fascination with the city. And as a bonus, this book was the reason I ended up having a short conversation with Augie, the nice man who owns Centuries and Sleuths and works the register (he confided to me that he can’t keep Georgette Heyer books in the store because his wife is a huge fan and always snatches them up before he can sell them). He met Donna Leon at a reading once, and is a huge fan – apparently she’s very nice, and while she was signing books she sent her husband out to get her some ice cream. Stay tuned for the second installment of the Chicago Bookstore Haul, in which I visit a drastically different bookstore – twice (I have a problem). Did you have to buy a new laptop? Yeah, but the good news is that I was able to buy a new one for less than it would have cost to repair my old one. Oh crumb. Were you able to retrieve everything?